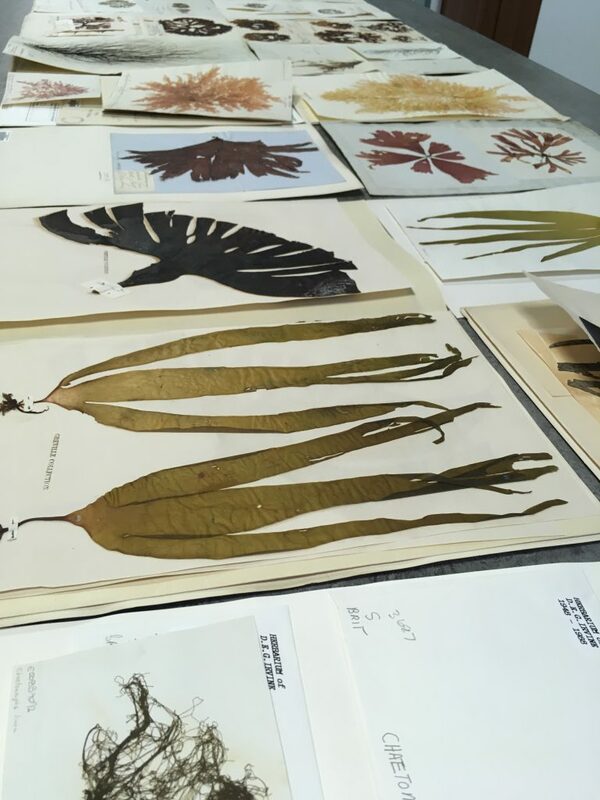 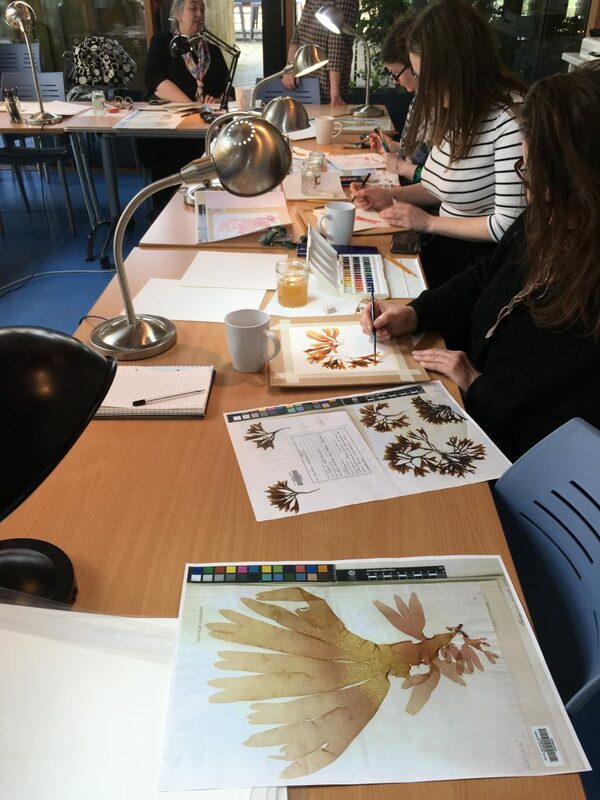 On Friday 15 March 2019, the RBGE Herbarium and Edinburgh Shoreline Project joined forces for a half-day mixed media workshop inspired by algae specimens in the RBGE Herbarium. 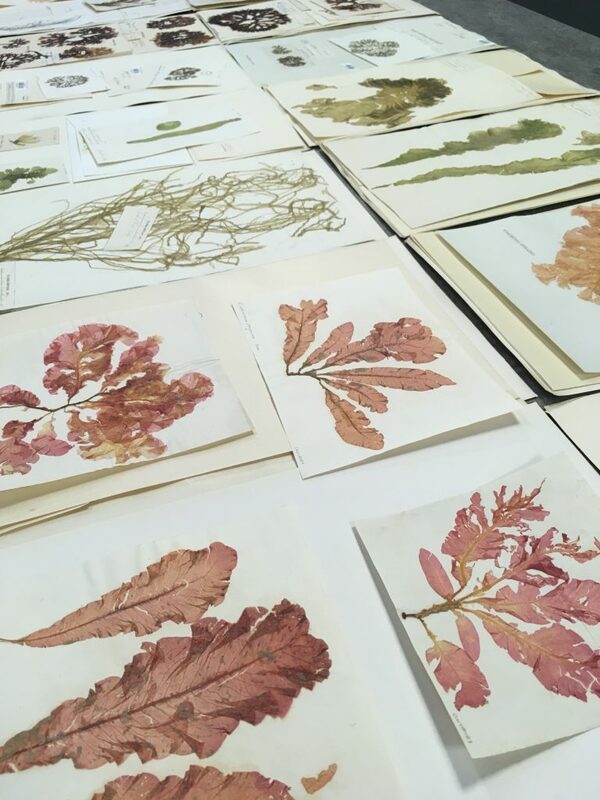 The morning started with a visit to the Herbarium, where Heleen Plaisier gave an introduction to the RBGE Herbarium and introduced the historical specimens she put on display, which were all collected on the rocky shoreline of Edinburgh. 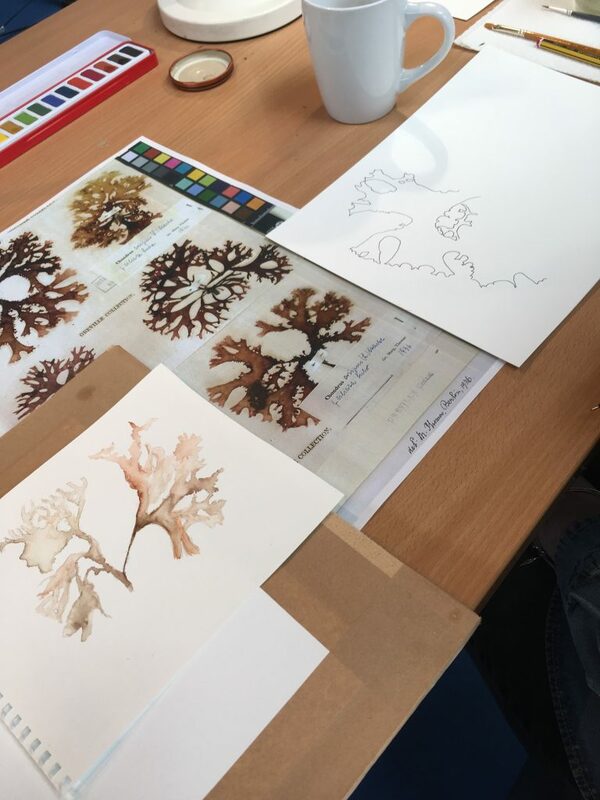 Charlotte Johnson explained that many of the species that were on display can now longer be found on the Edinburgh Shoreline, due to pollution, and that this became evident during a recent Seaweed Bioblitz on the rocks of Joppa, also organized by the Shoreline Project. 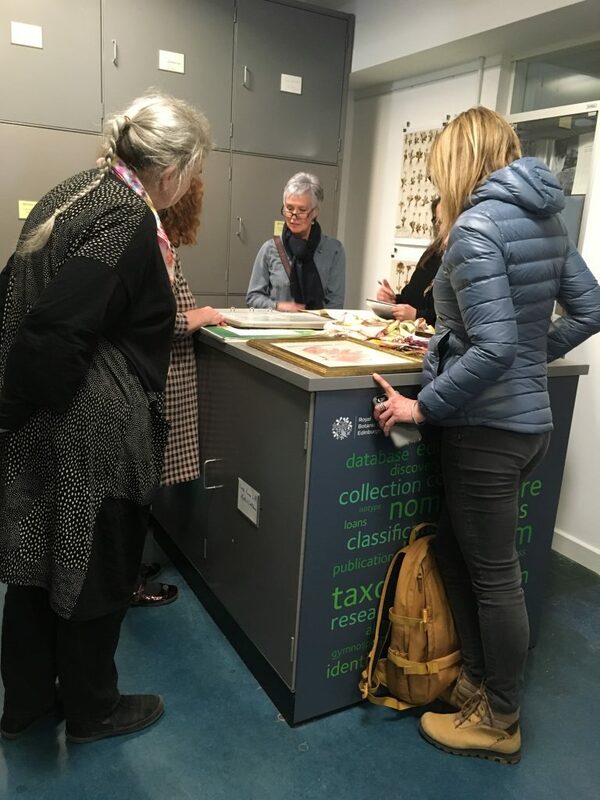 Artist and designer Susan White spoke about how the Herbarium collections inspired her to create artworks, which she ended up using as designs for her own clothing brand (Rosamund of Scotland). 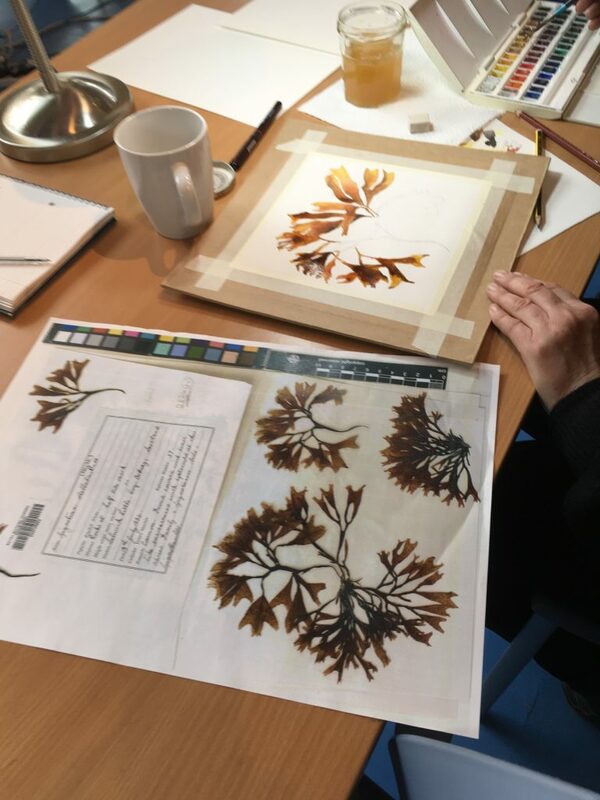 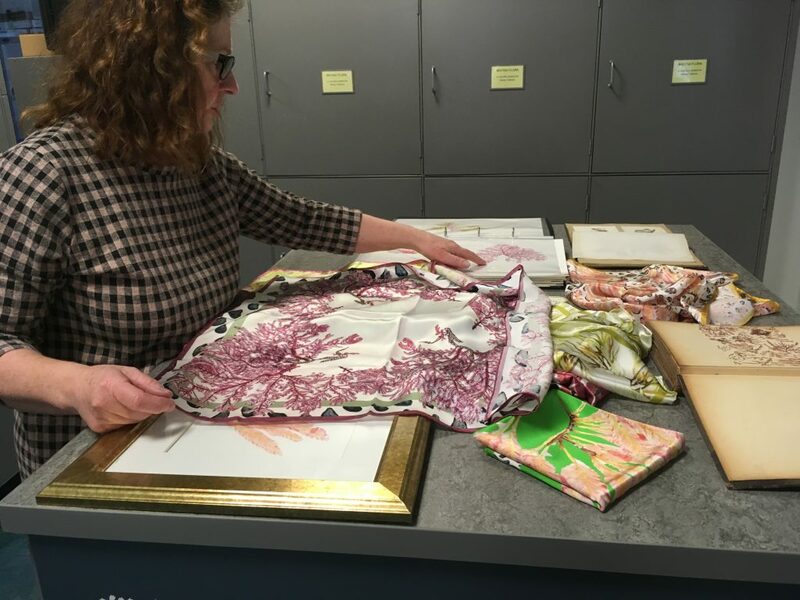 Susan explained the process of rendering the beautiful and sometimes intricate seaweeds, making the images into textile designs, and printing them onto silk. 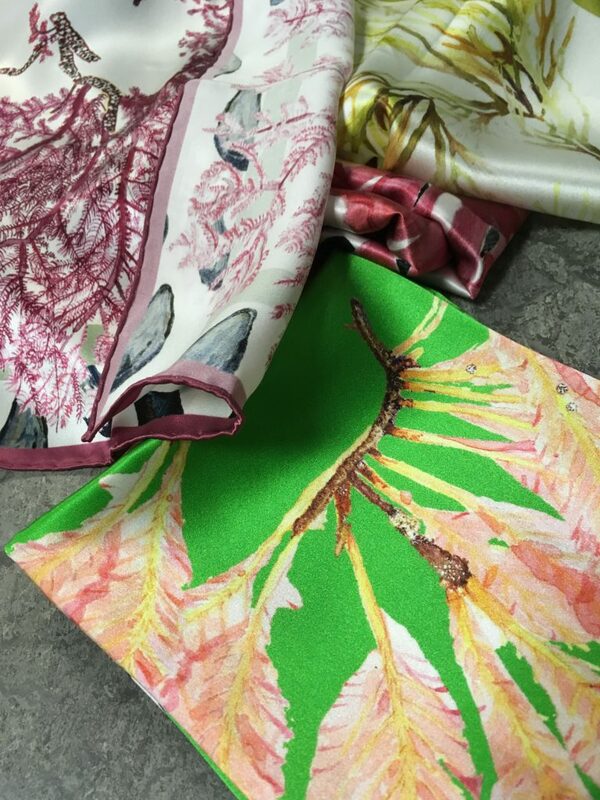 She showed some prototypes of her new scarf collection, all inspired by the RBGE Herbarium collection. 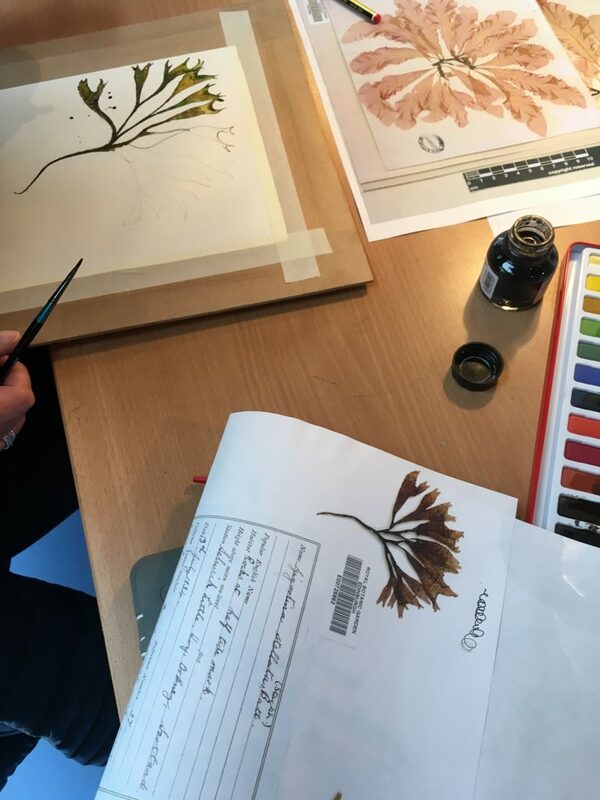 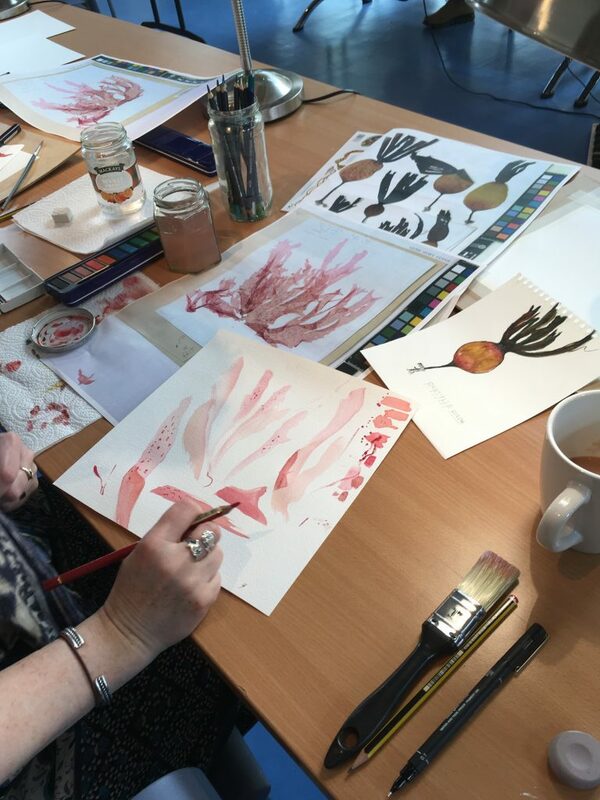 After the visit to the Herbarium, the participants continued to the John Hope Gateway, where they tried their hand at creating their own artworks in mixed media, using watercolours and pen and ink on watercolour paper – inspired by printed images from the Herbarium Catalogue. 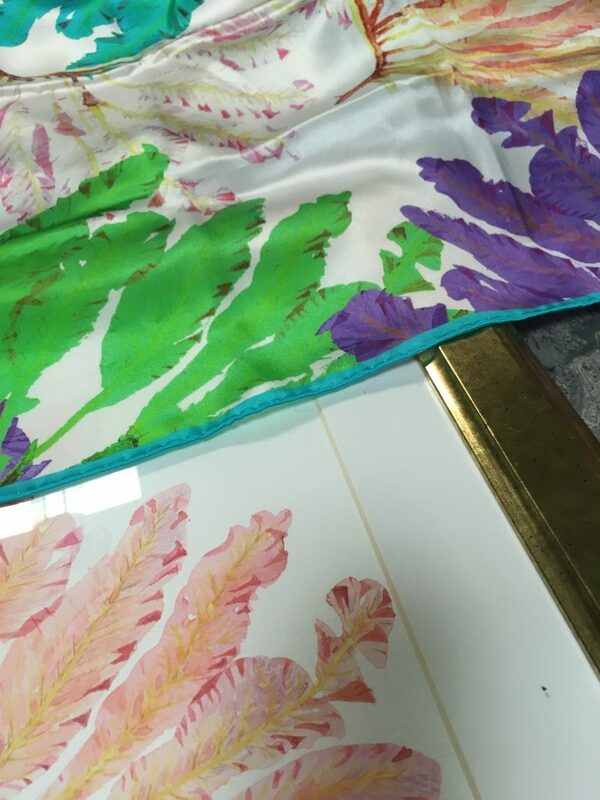 There were some truly stunning results!